Alonso Padron has been playing guitar since 1986. He initially began teaching in 1993, and has been teaching full-time since 1999. He teaches beginning through advanced levels of guitar and beginning through intermediate bass with a specialty in the styles of rock, classical, metal, blues, and folk, and as well is adept at teaching sight-reading, theory, improvising, and ear training. Alonso began studying music at the age of 10, starting with piano; he then studied rudiments of drumming at age 15; Then at age 17, a friend showed him a few chords of a song on guitar and his passion for the instrument has never waned. Blessed with a natural ear, Alonso studied rock guitar rhythms on his own before taking up private instruction where he studied scales, technique, and soloing, focusing primarily on rock guitar while also learning the foundations of finger-style guitar and blues styles. He attended the University of Georgia where he furthered his music education by taking classes in music history, form, and theory. It was then that he developed a love for classical music, and began to study classical guitar. After college, Alonso continued his music education with intensive study of technique, theory, and soloing. 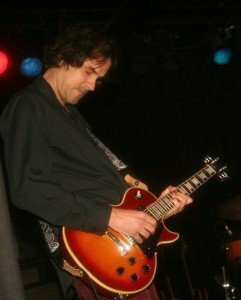 He studied jazz guitar from an astute and renown jazz professor from The New England Conservatory in Boston named Rick Beato focusing on theory, sight-reading, chord charts, and improvising. Today Alonso is a full time guitar instructor and brings his gifts of a natural ear, patience, and experience to the students he teaches.